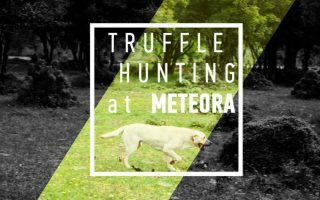 The Natural History Museum of Meteora and Mushroom Museum is proposing an amazing experience: Truffle hunting under the rocks of Meteora! 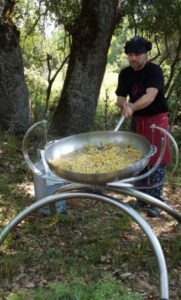 In the beautiful and unknown forests of the region, near the city of Kalampaka, visitors have the opportunity to enjoy a unique truffle hunting, to taste a delicious pasta dish with truffles that are found by truffle dogs, to visit the Museum, to try various mushroom products and to try an exceptional local wine. 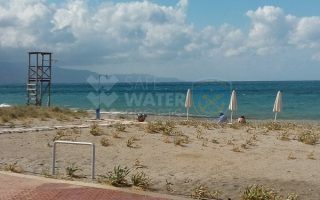 This is a complete suggestion, which is unique in Greece. The comparison with similar foreign activities indicates qualitative and economically superiority. Experience the difference and enjoy! 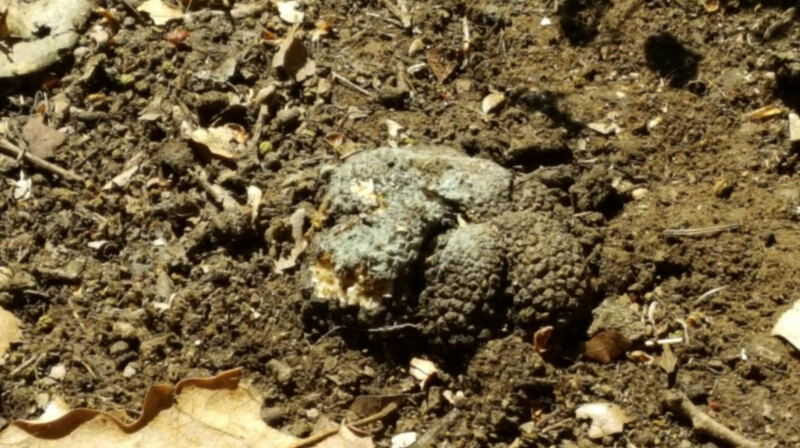 The area of Meteora is a suitable place for truffle hunting development. 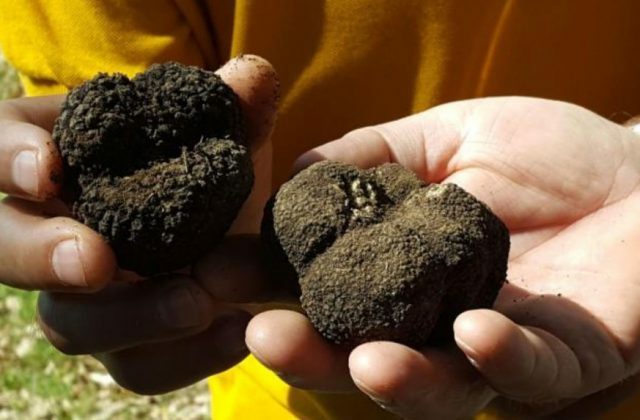 In the region you can find wild truffle. 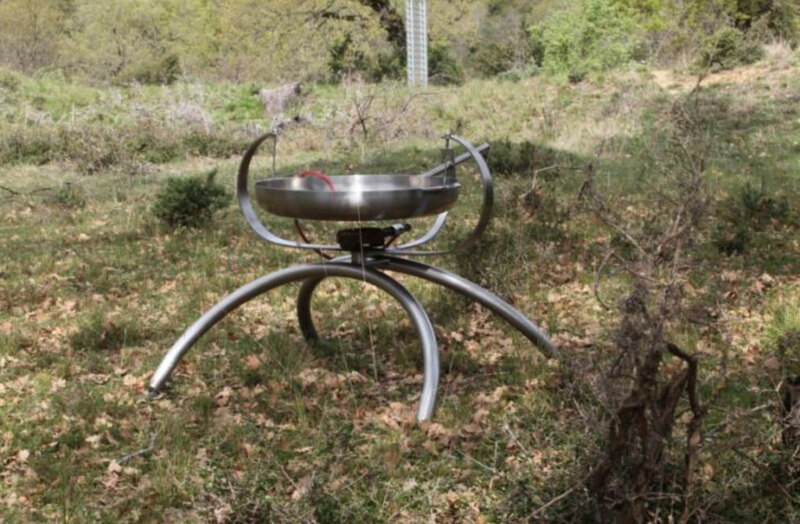 It is also an easily accessible place, where a bus can reach very comfortably the hunting areas. 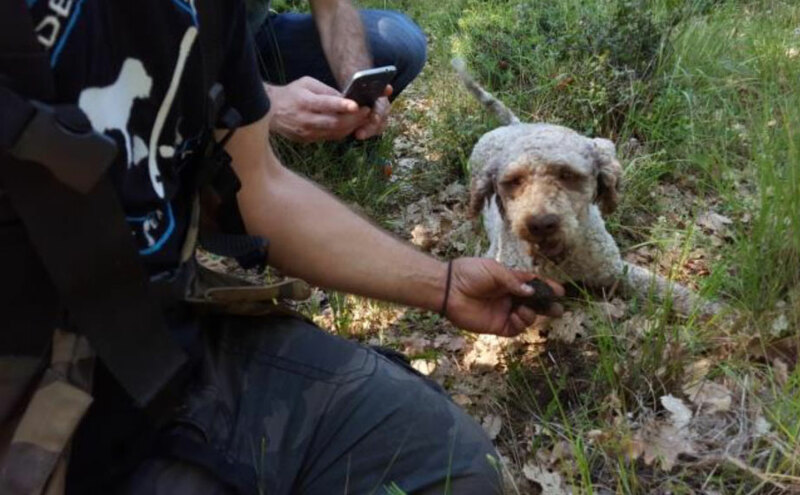 Our goal is to mark the region as a truffle hunting areα in Greece. 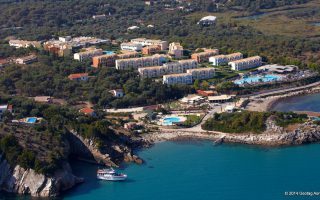 The visitor will have the opportunity to experience an alternative activity either in combination with a visit at the Monasteries and other sightseeing, or independently. 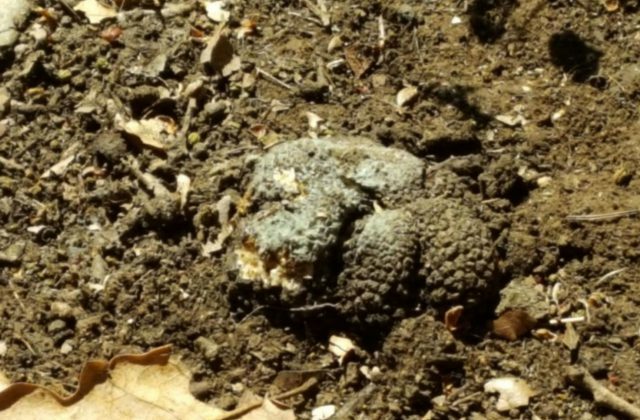 Truffle hunting can cover the most part of the day, even the whole day. 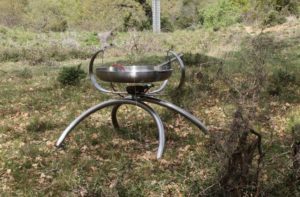 The hunting area is charming, the truffle hunting is amazing and the truffle pasta dish that is cooked with the found truffles is unforgettable! 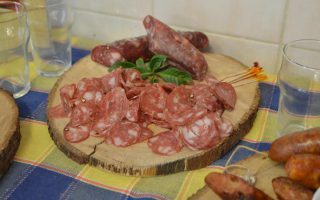 The fact that this proposal is combined with a visit to one of the few Mushroom Museums of the world and the mushroom product tasting that is offered in the Museum creates an original and unique experience. The number of participants is between 4 and 40 people and the price per person depends on the number of participants. 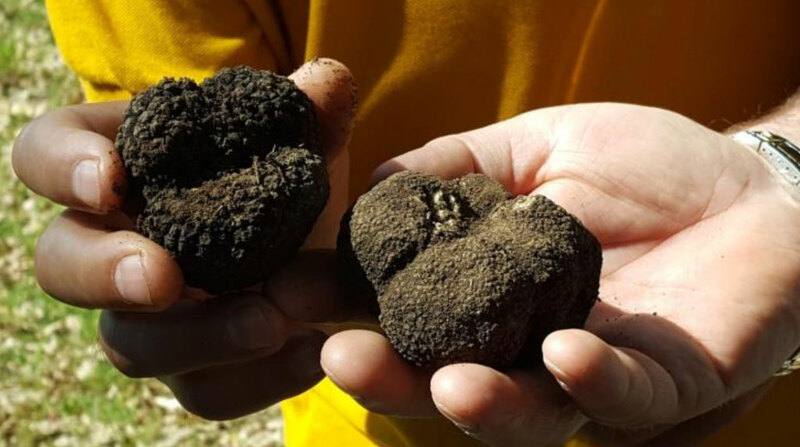 Less than 4 people can also form a truffle hunting group, provided they cover the minimum cost. 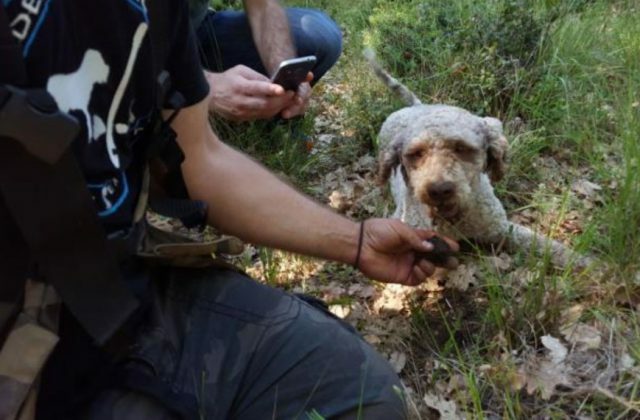 Christos and his truffle-hunting dog, Brio, are waiting for us! The moment we meet the truffle hunting begins. We discover the first truffle, the second, the third… Brio is unstoppable and we don’t lose him from our sight. After a while he stops. 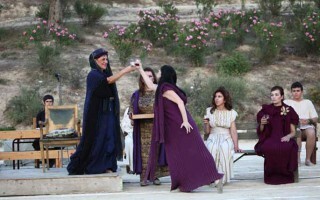 We have seen his abilities and it is Christos turn to play his role. Christos puts his cap on and he starts cooking. 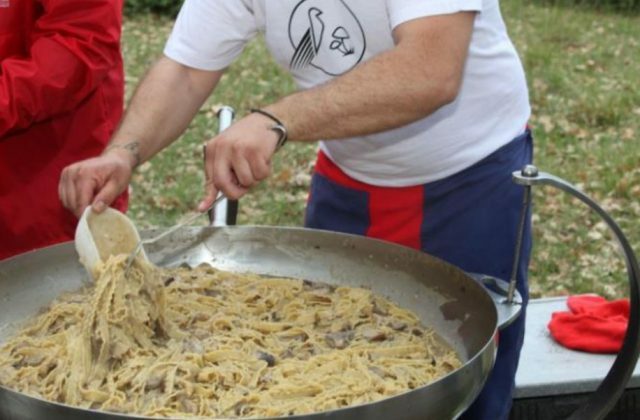 He uses an innovative pan that can fill 50 dishes. He will cook a super delicious truffle pasta dish, in which he will add wild mushrooms too. 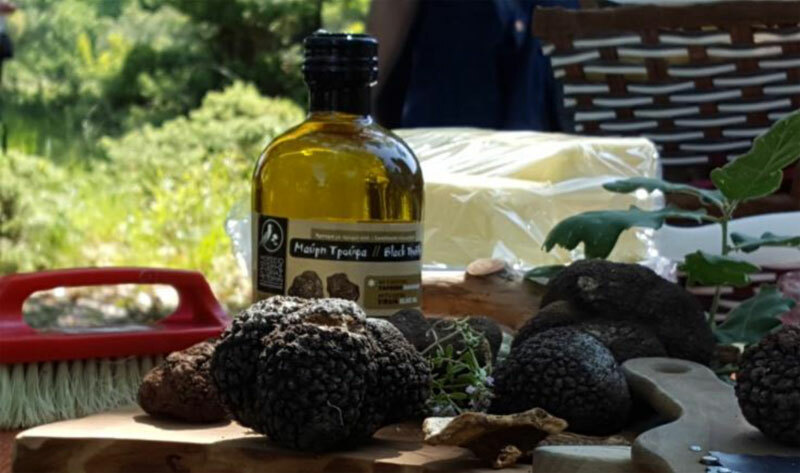 During the cooking process, Christos reveals the secret of truffle. The pasta dish is served and the bottles of wines are opened. This is how a tasteful heaven looks like! After lunch, we return to the Museum. We are tour guided around and focus mostly on mushrooms. Then it is time for mushroom delicacies! (Both savory and sweet.) Rich mushroom flavors are there for us to taste. These mushrooms products can be bought from the souvenir shop of the Museum either for consumption or as gift. There are 51 (!) 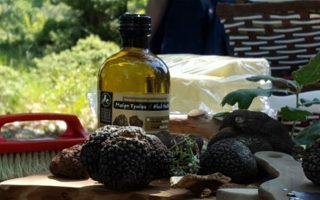 different mushroom and truffle products to choose from. Their package is exceptional and they were created by the Museum, following high quality standards. 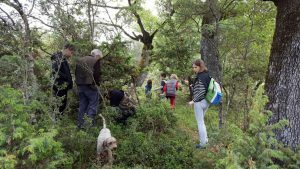 10.30 The truffle hunting begins! 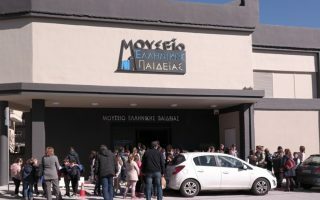 info@meteoramuseum.gr info@trufflehunting.net or call us: 00302432024959.